Writer. Mother. Lover. Finder of things. Keeper of peace. Random to a fault. 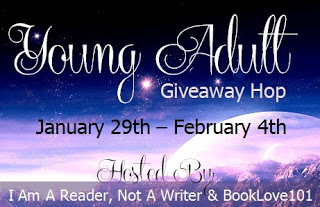 . .
From January 29th thru February 4th, I'm participating in the Young Adult Giveaway Hop hosted by I Am A Reader Not A Writer and Book Love 101! 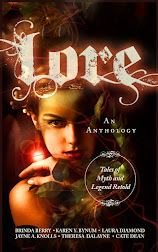 Breena's life gets uber-complicated when her desire to protect her sister unleashes her own dark nature, gets two hot supernaturals fighting over her and initiates a plot to assassinate her. 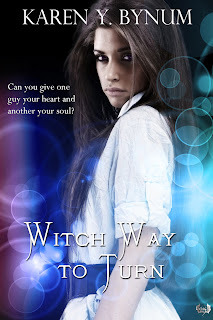 One (1) copy of Witch Way to Turn to the winner of the Hop! I'm excited to read "Witch Way to Turn" - especially after that fab sum-up at Nigh Owl Reviews. Drum roll, please...and the winner is... Katie Mahnken!!!! *throws confetti* I'll be emailing you shortly, Katie! ©2012 Karen Y. Bynum - All rights reserved. Simple theme. Theme images by billnoll. Powered by Blogger.